Nothing Compares, Fresh Water Only and Over The Top Clean!!!! With The US Dollar Getting Stronger... 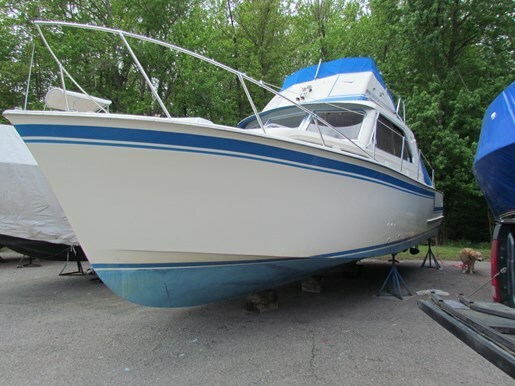 This Boat is Priced Below Market!!! 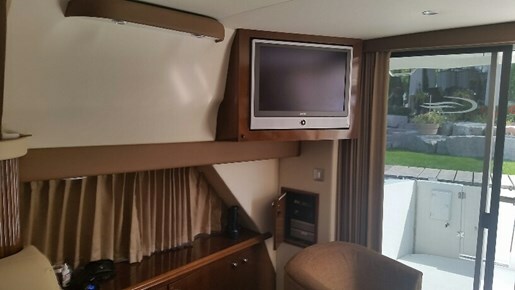 This is an immaculate 1 Owner 42SS with only314 hours on8.1L MPICrusaderInboards. 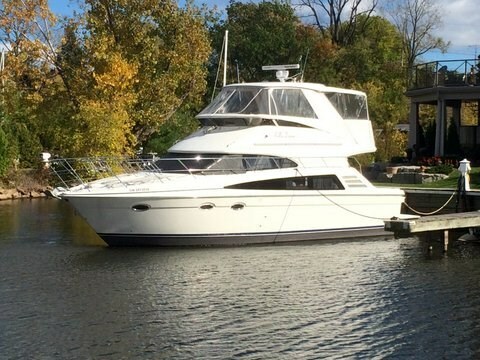 It is equipped with Bow and Stern Thrusters;10KW Generator; Air Conditioning; Hardtop with Bridge Air and Heat; Extended Aft Bridge Layout with Extended Bimini Top; Wetbar and Icemaker on Bridge; Central Vac System; Cable Master; Washer & Dryer; Bow Sunpads; Raymarine Electronics Package including Radar and Plotter; Oil Change System; Master and Guest Stateroom TV/DVD's; Two Staterooms and 2 Heads with Huge Utility Room under the Galley Deck. 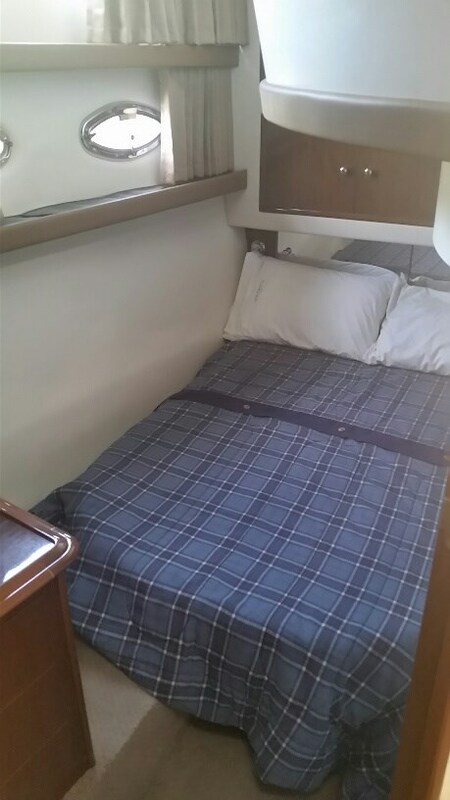 Centerline Master Berth Forward. 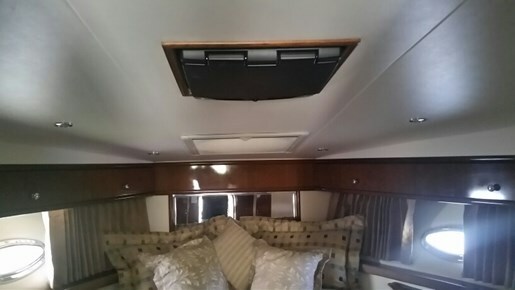 Plenty of Storage for extended cruising. 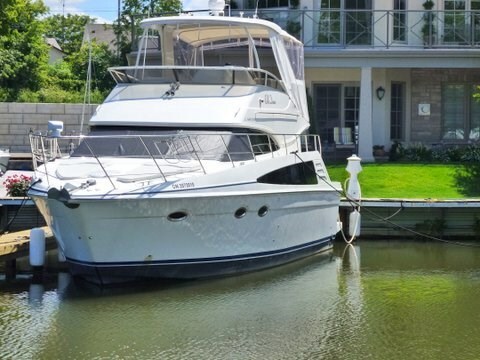 This Carver 42/43 Super Sport is absolutely immaculate throughout the total vessel, from the bilge to the fully enclosed fly bridge. 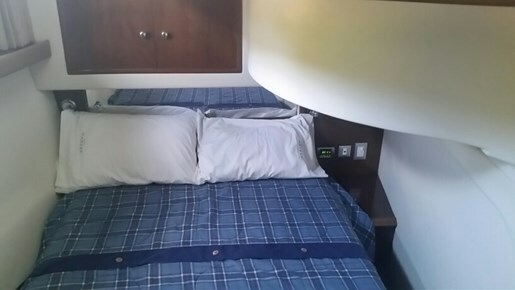 The boat has always been in fresh water and meticulously cared for by a very experienced owner The Master Stateroom is forward with a large head and dressing area with a separate enclosed shower across theboat. 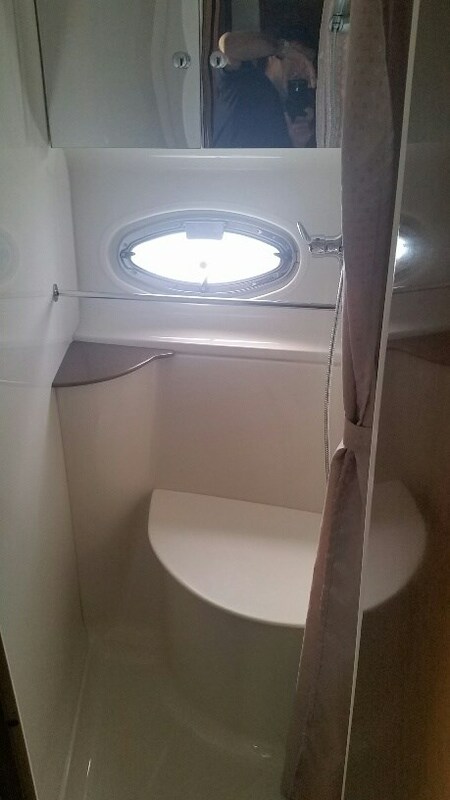 The VIP Stateroom has a head and enclosed shower that also serves as the day head. 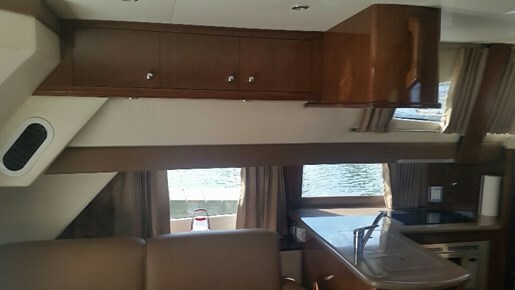 The galley and refrigerator/freezer are Port in the Salon with a dinette to Starboard. 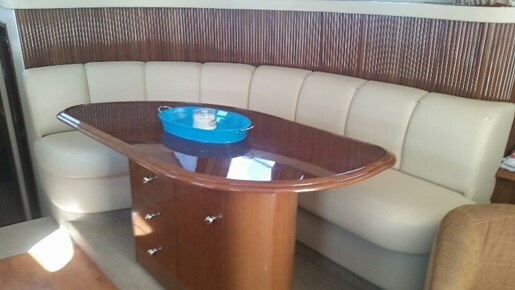 Aft in Salon is a lounge and chair seating. 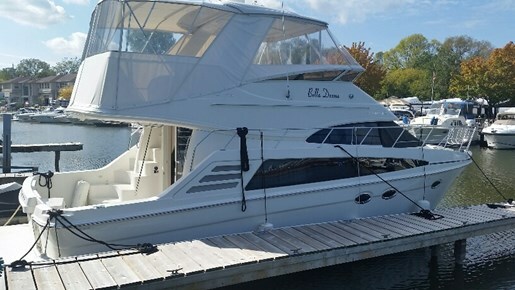 the Aft deck is spacious with a transom door to the swim platform and ladder. 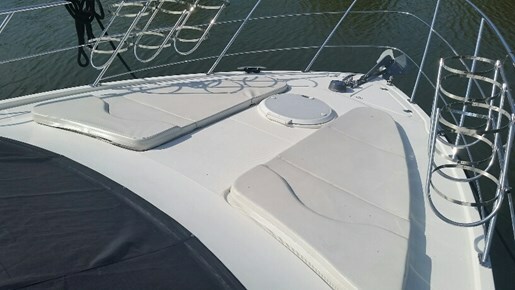 The fly bridge and helm area is exceptionally large and seating for 10 or more. 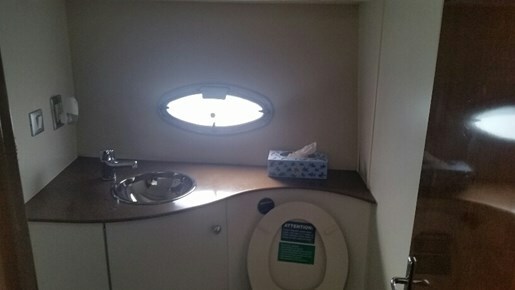 Storage and washer/dryer access is a hatch in the galley floor. 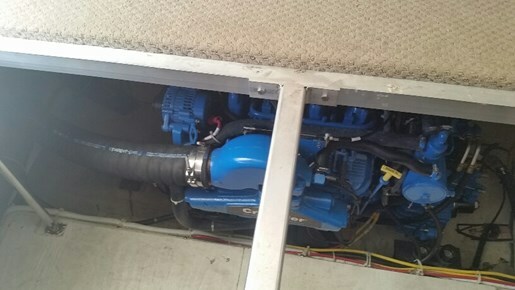 The engine room is under the Aft Salon floor with good access to engines and generator. 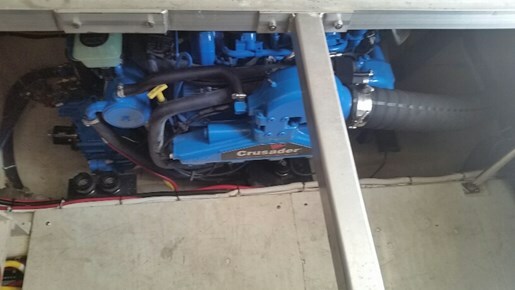 Engine hours are approximately314 on the mains andless on the generator. 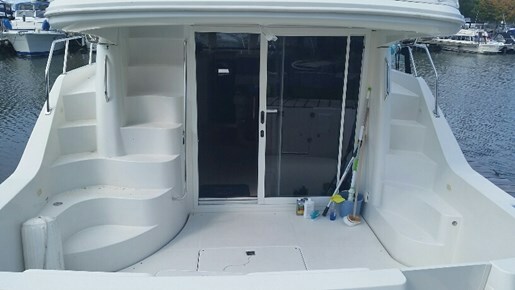 There is not an cleaner boat on the market. Winter storage is paid. 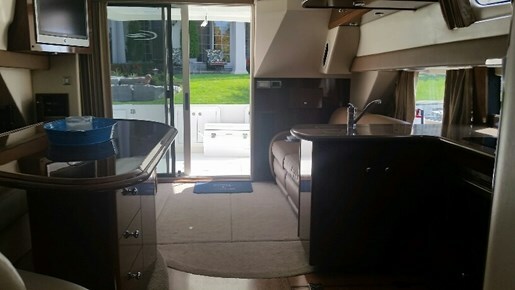 The 42 Super Sport boasts abundant amenities and plentiful room to accommodate your need to let go and lay back. 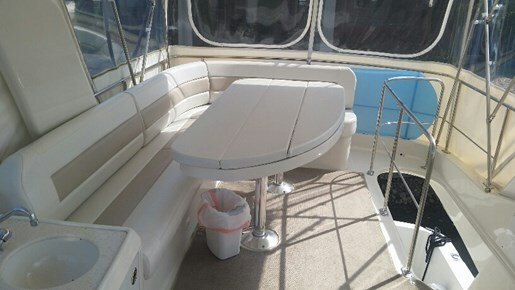 Go ahead and share the expansive and comfortable bridge with any number of friends and family. 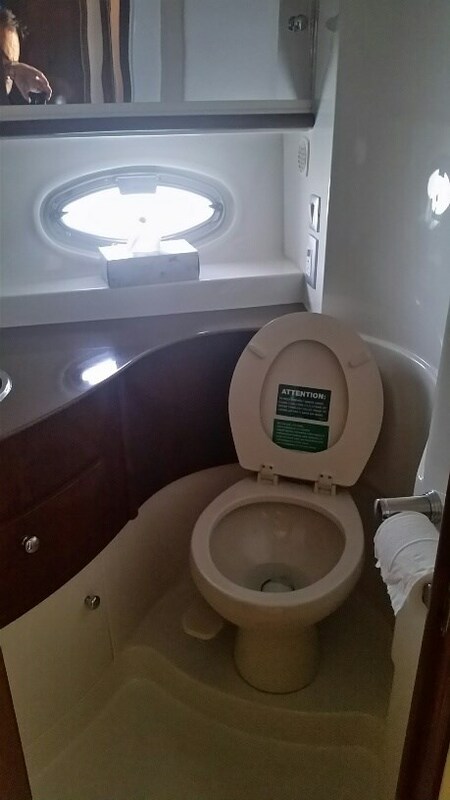 In fact, you'll appreciate all the on board spaciousness this Carver has to offer. 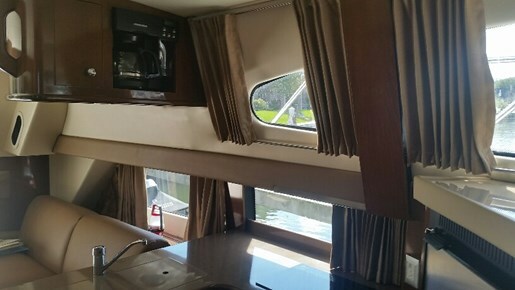 A roomy, full-beam salon keeps the on board party lively well into the night, and a generous VIP stateroom accommodates your favorite guests. 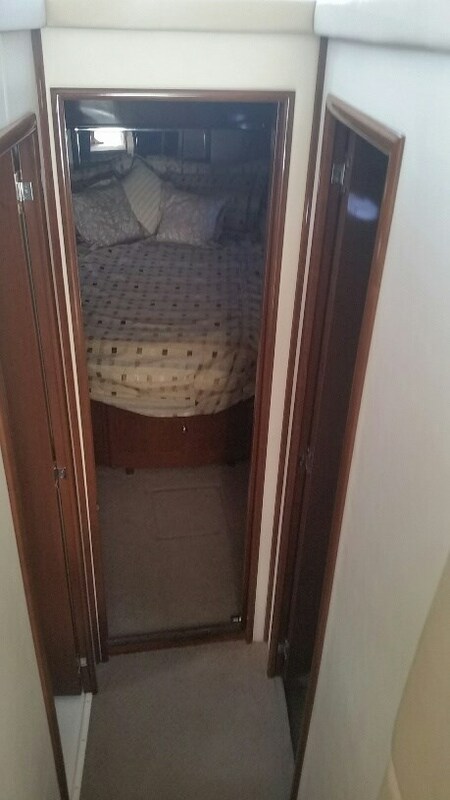 In fact, with two comfortable staterooms and two full heads, it'll be hard not to extend invitations every weekend. 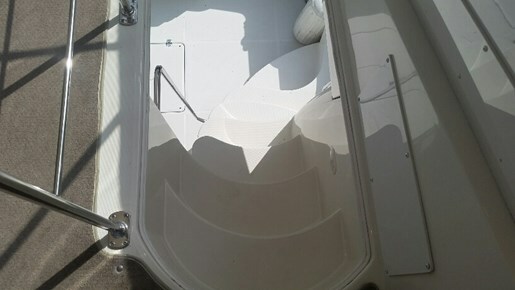 And don't forget to bring plenty of water toys - the large cockpit will appeal to everyone's urges to splash into the wet and wild water activities. 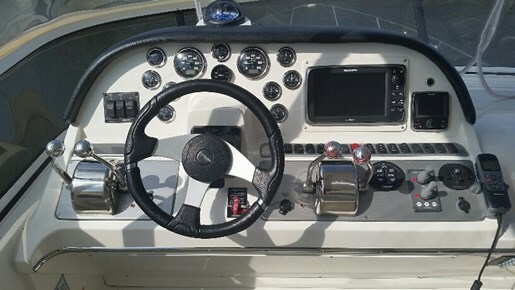 The fun side of the 42 Super Sport is fittingly complemented by exceptional flair and panache. Luxury comes together to create interiors that will please your adult sensibilities. 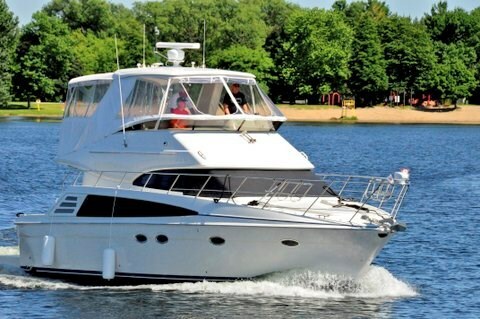 From its elegant decor and designer accents, to the rich exotic woods throughout, the deluxe materials on board heighten the overall satisfaction of enjoying your personal retreat. 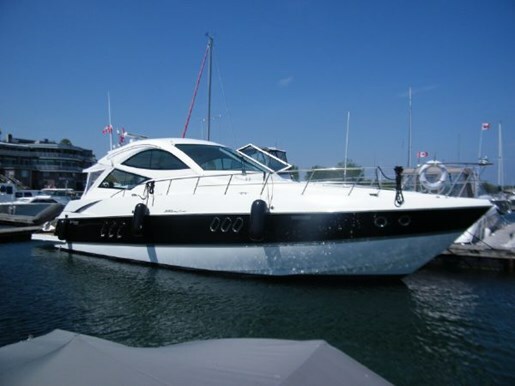 Whether it?s recreation or relaxation, Carver's 42 Super Sport will inspire and charm you. With all the fun and every inch luxurious, the extraordinary yacht lets you explore new and wondrous places.